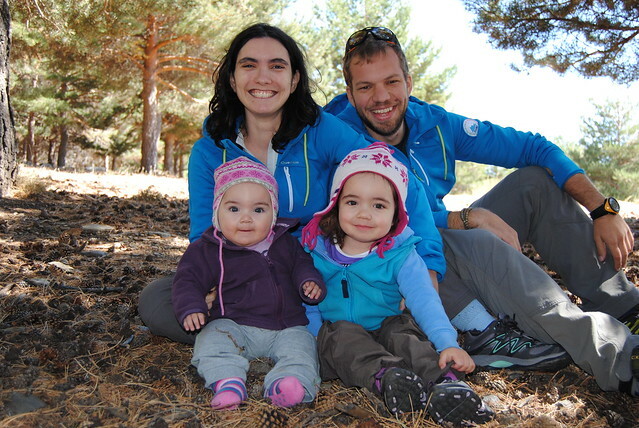 Once again 7 Cumes mountain guide Nuno and his family decided to explore a nearby mountain known for it's potential for winter mountaineering - Sierra de Gredos in Spain. Já estamos a preparar a nossa próxima formação, desta feita na neve da Serra da Estrela. 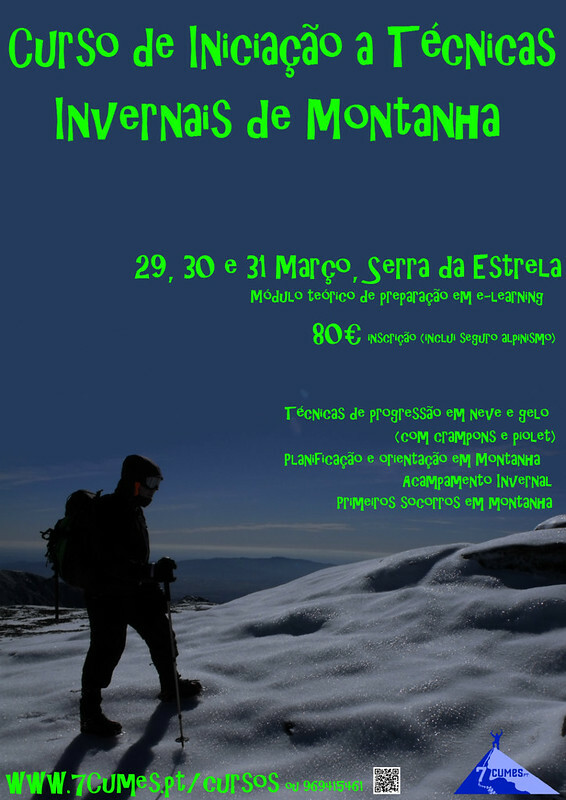 Será o Curso de Iniciação a Técnicas Invernais de Montanha Março 2013, a decorrer nos dias 29, 30 e 31 de Março. To celebrate the beguining of December, our mountain guide Nuno (along with is family) decided to explore the neighbor peak of Jalama. 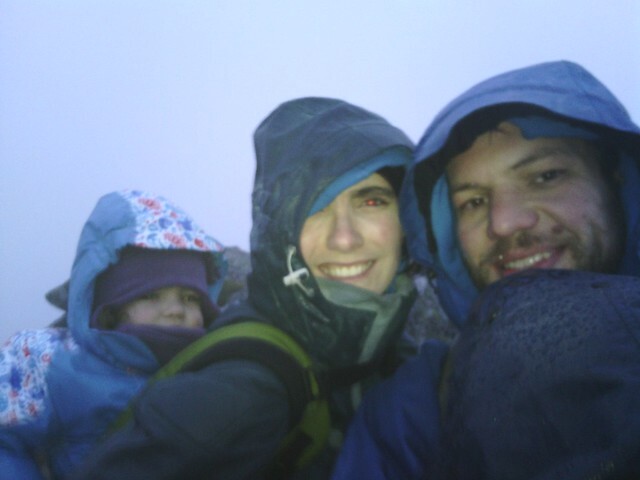 During the first week of October, our guides Nuno and Teresa (togheter with their daughters Bé and Flor) decided to explore the hidden treasure of Mulhacén (3,478 m - 11,413 ft). 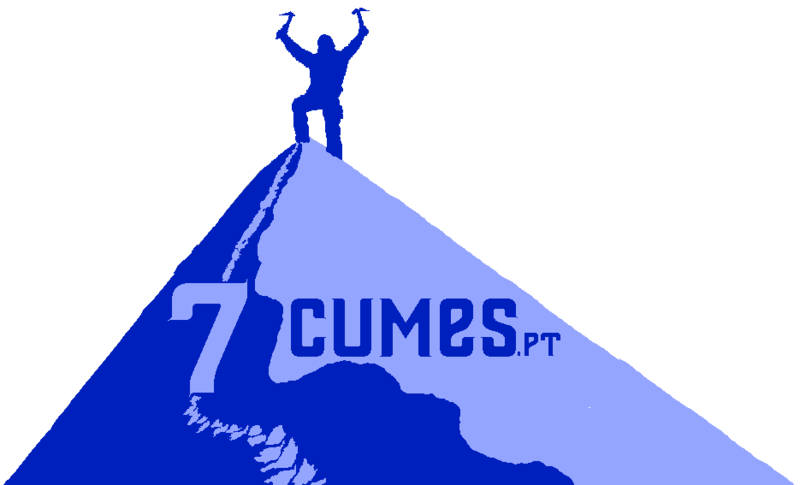 The 23rd of September will be the first oficial event for 7 Cumes! 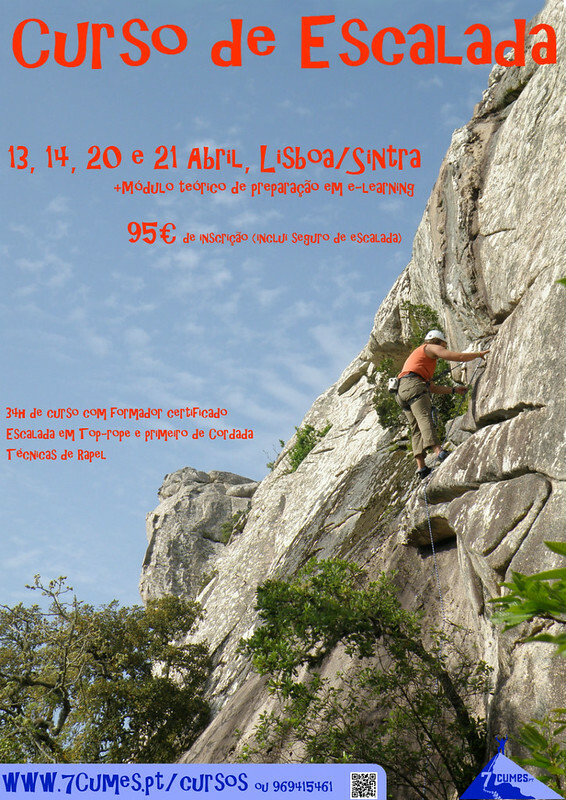 Join us in Sintra for a lovely morning of climbing between geocachers. 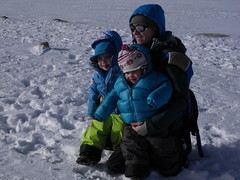 For more info check the Geocaching event page and join us! 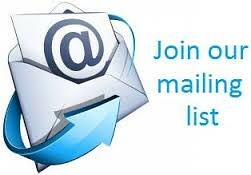 7 Cumes web site launch! Read more about 7 Cumes web site launch!